Côte d’Ivoire-born Aboulaye Koné is the son of a griot. Burkina Faso, the country in which he grew up, is where he learned the basics of music starting in childhood, with an initiation in percussions and guitar. Upon reaching adulthood, he was soon noticed by his peers, and he accompanied some of the big names in African music, including Les Go de Koteba, Sonatata Kondé, Fodé Kouyaté, Tiranké Sidibé, Bambino and Prince Djabaté. In 2004, he founded the group Bolo Kan, two words meaning “hand” and “sound,” “message” or “signature.” This group comes in three flavours of African music: “acoustic or under the baobab,” featuring the Mandinka guitar, “modern or urban blends,” a sort of Afro-Québec big band, and “percussion or the village,” in which a troupe of dancers accompanies the percussionists. In 2008, Bolo Kan Moderne received the Syli d’argent in the world music competition held by Nuits d’Afrique. The following year, the “percussion” side won the Syli d’or. Meanwhile, Aboulaye Koné became part of the François Bourassa Ensemble in 2003 as percussionist. This jazz band, the winner of many Juno, Félix and Opus awards, is one of the most active in Canada. Starting in 2005, he was also a guitarist in Zal Sissokho’s group, called Buntalo. In addition, he has been a special guest with groups including Salaam, Syncop, La Chango Family and La Famille Zon. 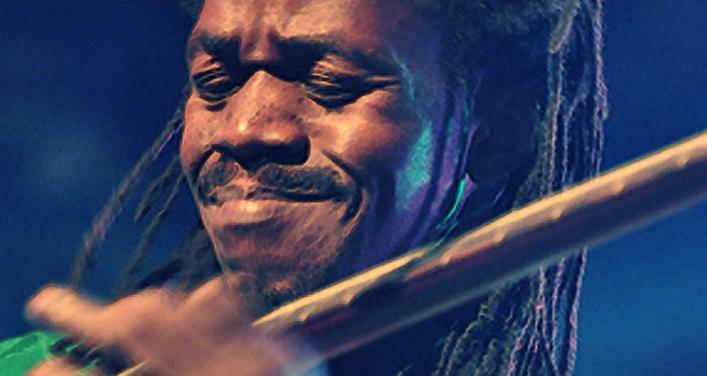 On a number of occasions, he has had the honour of accompanying African stars on Montréal visits, including Sonatata Kondé, Fodé Kouyaté, Tiranké Sidimé, Bambino and Prince Djabaté. On stage, he has been part of various shows: La Nouba at the Corona, produced and broadcast by Radio Canada’s Première Chaine, in which 15 artists from different backgrounds gather, and the house band in the show Afrika Musique under the direction of Éval Manigat, accompanying Lokua Kanza, among others. In 2007, he helped create S’Temps d’Art Africain. This structure is involved in the teaching of West African dance and percussion. He gives courses and leads workshops within various frameworks in Québec. In 2007 and 2008, he won recognition from the Canada Council for the Arts in Mandinka guitar and from the Conseil des Arts et Lettres du Québec in African percussions. He composed show music for Enfant Baobab, recipient of the 2010 critic’s award. And in 2011, Aboulaye Koné & Bolo Kan brought out an album, Afro Gné, nominated for a Juno Award in the Best World Music Album category in 2012. Eager to share his art, Aboulaye Koné gives numerous workshops and shows in Québec.